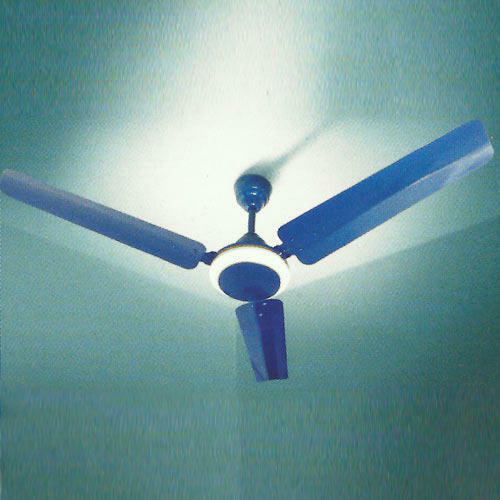 We are instrumental in manufacturing and supplying our customers with the highly coveted Colored Ceiling Fan. The product is regarded for being attractive in looks with two shades of colors and is ISI certified. It is made from high grade aluminum and has oil capacitors for smooth functioning for years. The fan has been extensively tested for quality assurance by our diligent group of professionals. Daspan Industries Ltd. was established in 2006 and is operating as the manufacturer, exporter & supplier of Cookware, Fans & Electrical Products. Our product range is wide and comprehensive and inclusive of Pressure Cookers, Iron Box & Ceiling Fans. All our products are developed by a well-trained team of engineers employing advanced technologies and machines. We export our products in all over the world. The manufacturing unit of our firm is facilitated with advanced machines and technologies that aids in developing products in bulk amount in less time-period. The products are made incorporating raw materials sourced from reliable vendors and check them thoroughly for the assurance of quality using stringent parameters of quality control. Our warehousing unit is spacious, systematic and free from dust. It is effective in storing bulk orders in their best conditions. We are known for meeting with deliveries within the stipulated time period owing to our huge transportation network. Our team of professionals is diligent and expert in their respective departments. They have helped us operate as a client-centered organization and maintain long term association with our clientele.